A CULINARY EXPERIENCE NOT TO BE MISSED! Norfolk Island’s FOOD FESTIVAL showcases the freshest locally grown and sourced produce, talented cooks, chefs, eateries, artisans and primary producers all in the atmosphere of the renowned FOOD FESTIVAL. 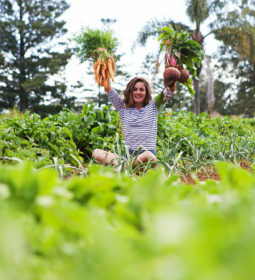 Norfolk Island has in recent years grown into a popular foodie destination; offering locally grown, fresh, organic produce which is picked and cooked on the same day. This is the real paddock to plate experience, Norfolk Island style! You will experience delicious dishes made from the freshest ingredients, with locally caught fish, local beef and pork and small boutique products such as coffee, honey and cheese on the menu. TASTE Norfolk Island is an annual celebration of food, culture and lifestyle set against the stunning backdrop of beautiful Norfolk Island and is an culinary experience not to be missed. The TASTE Norfolk Island Festival programme for 2019 will be announced soon – stay tuned! Please call our office on 1800 724 400. Or, use this enquiry form. Norfolk Select have in excess of twenty years experience in the tourism industry and we focus on the Island because we think it’s a fantastic place and want to encourage as many people as possible to visit. We will help you find your perfect holiday.